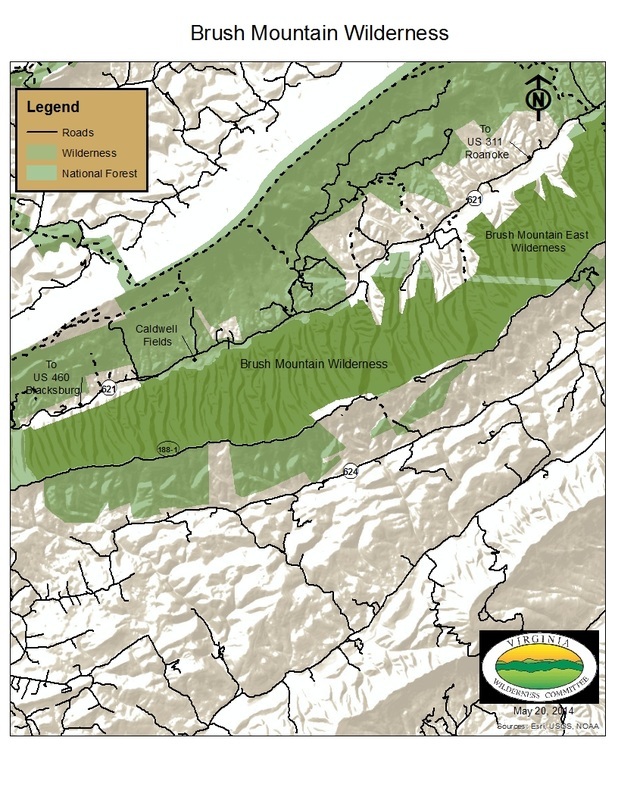 The attractiveness of Brush Mountain Wilderness lies in its proximity to the large and rapidly growing population of Blacksburg and Virginia Tech. The 4707 acre area extends for eight miles along the northwest slope of Brush Mountain. 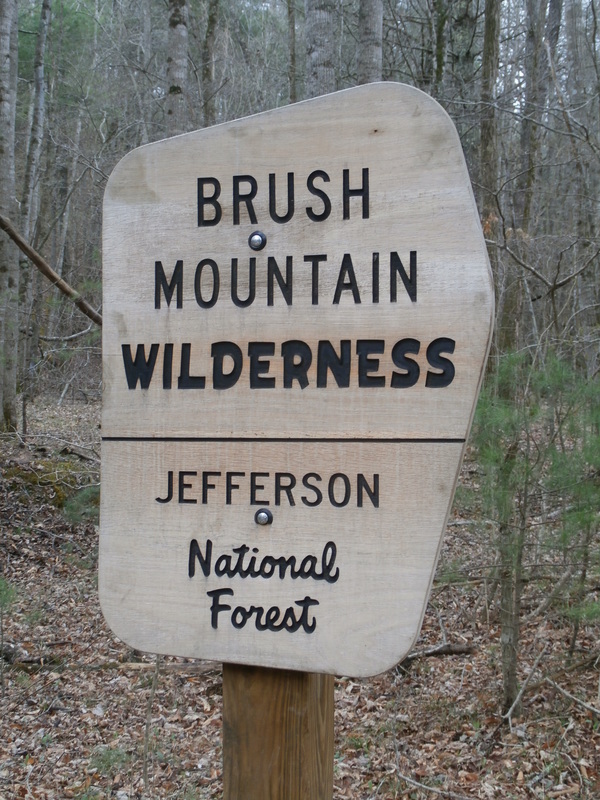 Despite its location adjacent to the suburbs of Blacksburg, Brush Mountain is surprisingly remote. 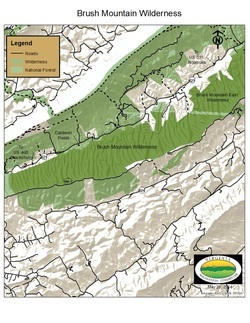 When combined with its sister, Brush Mountain East, the two areas protect over 8400 acres of this deeply incised mountain ridge. Brush Mountain displays the typical characteristics of the Ridge and Valley physiographic province. It is capped by a resistant layer of Devonian sandstone, with the underlying shales giving rise to a series of steep finger ridges and deep coves along the northern slope. The lower slopes are well forested with a great variety of species such as Tulip Poplar, Sugar Maple, Northern Red Oak, White Oak, Basswood Cucumber Tree, White Ash, and White Pine. On the higher parallel ridge slopes Virginia Pine and Table Mountain Pine are found on the southwestern sides, while there are Chestnut Oaks and Scarlet Oaks on the northeastern sides. When standing at Caldwell Fields, the contrast between these opposing ridges is unmistakable. 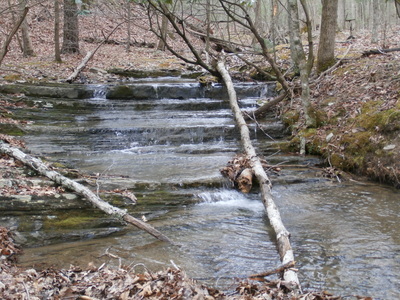 Craig Creek forms the northern boundary of Brush Mountain Wilderness. 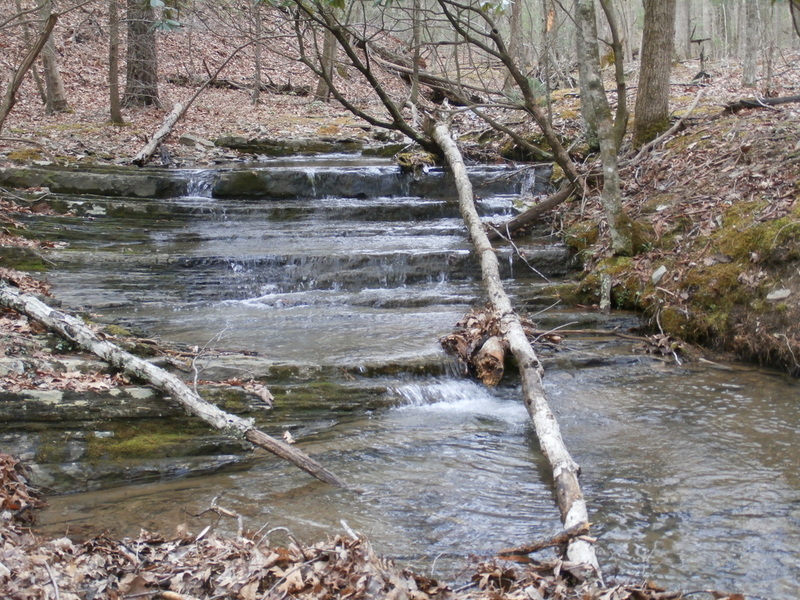 There are no significant streams running down from the ridge to Craig Creek. This is compensated by the many unique and interesting named hollows that stretch down the ridge. Some such as Hazelnut Hollow, Sugar Bottom Hollow and Sugar House Hollow probably get their names from the natural resources that were gathered in the area. Others such as Betsy Boating Hollow, Jones Hollow, and Leyman Hollow most likely represent names of families that lived in the area at the turn of the twentieth century. 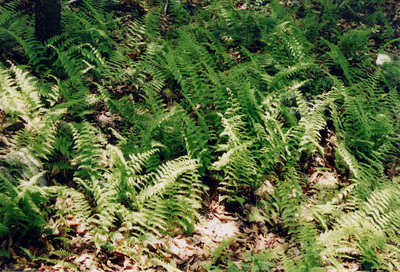 The area was largely cut over about one hundred years ago, but the forest is rapidly returning to old growth status. There are no trails in the Brush Mountain Wilderness. However, the intrepid hiker can find many places to explore. Many of the hollows, lined with Rhododendron and Mountain Laurel, are seasonally wet and sport numerous small shelf waterfalls and tumbling cascades.